Just as Ashe was about to take possession of the barracks, a totally unexpected situation developed. A large force of R.I.C. from Navan was seen approaching. Confronted with this new and dangerous problem Ashe acted swiftly and, placing his men to best advantage, attacked the enemy. After the battle which lasted five hours the Fingal Volunteers, through sheer courage and discipline gained victory over a force far superior in number, inflicting heavy casualties. 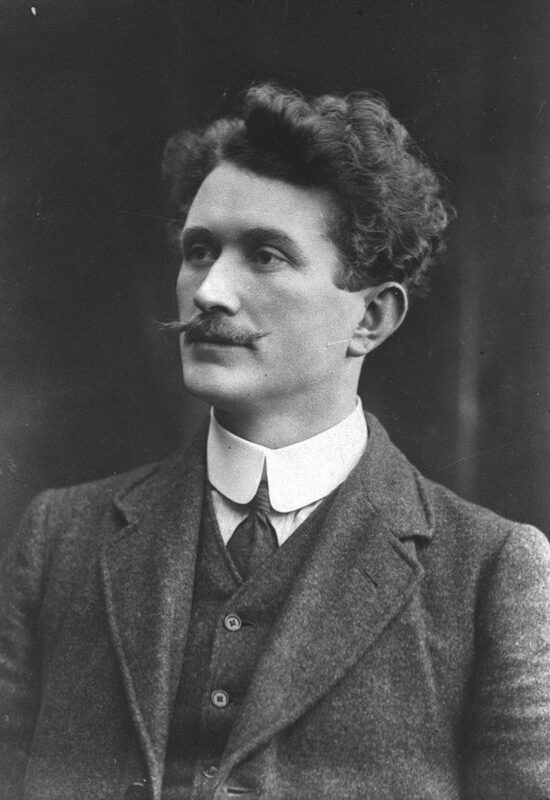 Among the casualties was the officer in charge of the Constabulary, County Inspector “Baby” Gray, who was notorious for his part in the evictions during the Land War in Ashe’s native Corca Dhuibhne. Ashe treated the enemy with kindness and courtesy and after confiscating their arms and ammunition and warning them not to be found again in arms against the Irish Republic, set them on their way to Dublin. Two of the Fingal Volunteers were killed, Tommy Rafferty and John Crennigan, and five others were wounded. However, this tragedy didn’t affect the morale of the Fingal Volunteers – but all too soon their bright hopes faded. The following morning, Saturday 29Th April, news reached them of the surrender of the Republican forces in Dublin City and with it orders from Pearse to lay down arms. After further confirmation of the orders Ashe and his men laid down their arms in disbelief and disappointment. On the following day, Sunday 30Th April, the Fingal Volunteers were interned in Richmond Barracks. Ashe, Dr. Richard Hayes and the Lawless brothers were taken to face court-martial and the rest of them were sent to prison in Knutsford in England.